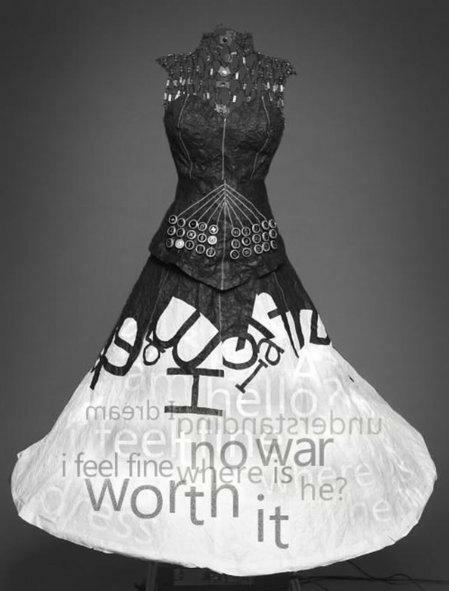 Microsoft teamed up with Bloomingdale’s for this high-tech dress that uses tweets instead of pleats. The dress was presented earlier in Jan 2012 at CES. This entry was posted in Fashion, Geeky and tagged Microsoft Twitter Dress, NYFW Twitter Dress by nuitdepluie. Bookmark the permalink.